Well, we’ve reach the pinnacle… the BEST OF THE BEST… the Rocky of Hip Hop lists, if you will. Or Rambo. Or Arnold Schwarzenegger in Jingle All The Way. Or whatever. Now, before I ramble too much, let’s finish this bad boy. With the release of Justin Timberlake’s The 20/20 Experience, this new Robin Thicke video adds to a week of extreme sexiness. I mean, PHARRELL is in the video, the three guys are dancing with models, and Robin Thicke is eating a chocolate ice cream cone, need I say more? Here’s the first glimpse and Dr. Dre‘s long awaited Detox album with the leak of “Under Pressure.” It features Jay-Z and has a bit more of an electronic sound than you’d expect from the father of G-Funk. 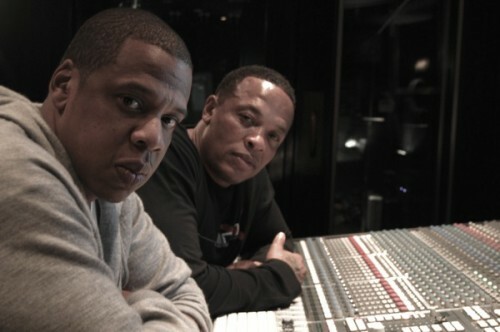 Dre has announced that the track is not complete, and was not “supposed” to get out. As you can see, it has no chorus and is definitely rough around the edges (and the “New Music Cartel.com drops get annoying), but the fact that we have some idea of what Detox will be is exciting. It’s been over a decade since Dre released his Grammy-winning “2001,” the follow-up to his other Grammy-winning classic, 1992’s “The Chronic.” Detox will apparently feature 50 Cent, Eminem, D12, The Game, Snoop Dogg, Ice Cube, Lady Gaga, Ashanti, T.I., Pharrell, Common, R. Kelly, and Busta Rhymes, among others. Man, that was a friggin’ mouthful.